Born with a passion for beauty, I turned my passion into work. One of the most rewarding parts of my job is making the most important day of a woman's life, her wedding day, as special as possible. At 17, I began to work in perfumery and cosmetics. Over the years my tenacity, lead me to Rome to a beauty shop, which allowed me to do the necessary courses to obtain certificates and diplomas to become a make-up artist and cosmetologist consultant in major cosmetic companies such as Chanel Paris, Sisley Paris, YSL Beautè, Clarins, Lancome, Estée Lauder. I began doing make up for weddings in 2007 in the Eternal City Rome, then I moved to the beautiful region of Tuscany, and started working as a hairdresser doing hairstyles. Soon I found myself meeting brides from around the world and their Guests for hairstyles and makeup. I collaborate with specialists in hair and aesthetics, who have experience in television and film. I move around the center of Italy and if needs be, in other areas. 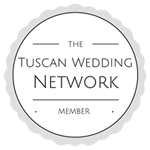 If you want the best for your wedding in Italy you have found the right person.